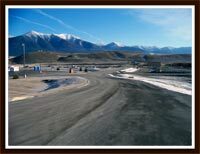 KellerInc - Eureka Montana Land for SALE! 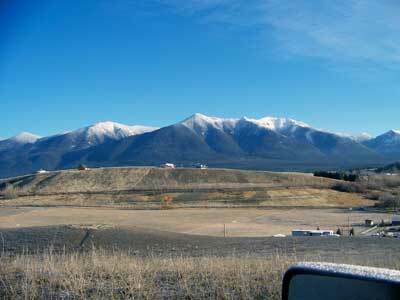 Available now is 40 acres located in the picturesque Tobacco Valley with beautiful 360 degree Rocky Mountain views on the outskirts of Eureka, MT. The property is completely fenced with small stream crossing on one corner. The same stream also borders on whole side of the property. Also on the property is a road/driveway that meets major subdivision standards ending with a 60 foot easement to Hwy 93. This area is full of outdoor activities for all to enjoy. The property is within minutes of some very nice golf courses. Indian Springs Ranch, a prominent 18 golf course, now under construction, is less then 5 minutes north of said property. 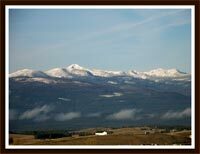 50 miles north is Fernie Ski Resort and 50 miles south is the Big Mountain Ski Resort. Just west is the 90 mile long Lake Koocanusa which boasts great fishing and boating opportunities. 1 ½ hours away is the beautiful Glacier National Park. And 45 minutes south is the pristine Ten Lakes Recreation Area. This property has great investment potential. Mouse over the above numbers for some photos of the property. When the seasons change we will update our photos to give you a better idea of the summertime in Eureka. 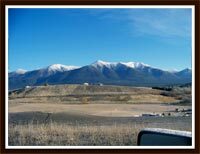 As you can see it the property has great views of the Ksanka Mountain Range as well as views of the currently under construction Golf Course called Indian Springs. You will also find a few picture below - click on them to enlarge. If you would like to see downtown Eureka CLICK HERE for live pictures of the downtown area. Please let us know if you have any questions concerning this great little property. We have also included a few pictures below - simply click on them to enlarge.